My quest for more regional breakfast taste continues. Breakfast in hot springs heaven tastes slightly different. Is it the clean cool mountain air and water in Jiaoxi that makes their products better tasting? That’s debatable. But these same items I had in Taipei tasted a little cleaner and crisper. Or is it my imagination? 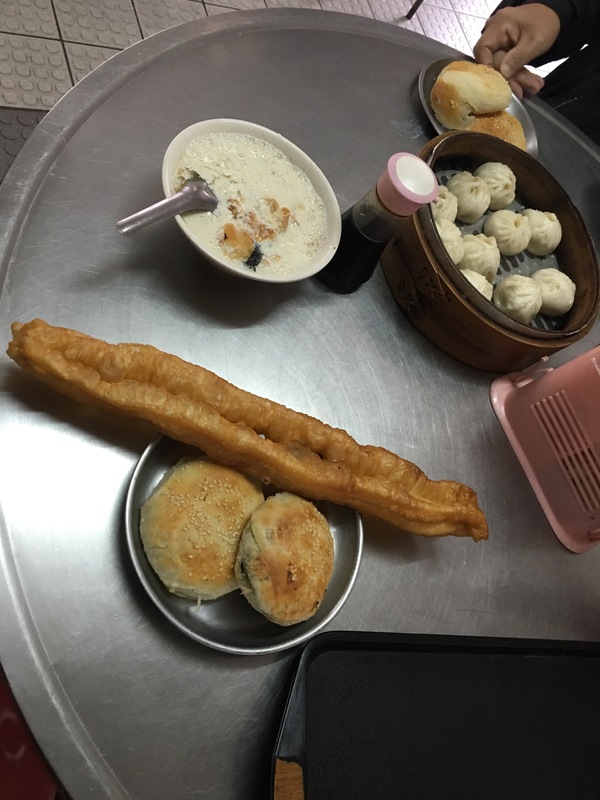 Youtiao was crisp and crackling. Sweet and salty soy milk was spot on with a sharper taste. Hsein Bein, scallion pancake, exploded with full burst of scallion flavor. Shao Lung Bao, soup dumplings, was without soup running out. I’m told the same dumplings are made two ways one with or without soup. Either way, this was a nice texture in each mouth plop. This restaurant gets really packed with long lines. I was lucky to make it there early enough to beat the crowd. Great food.